Nourish your intestinal flora and colon with Probiotic Colon from New Chapter Nutrition. With ten beneficial, live, probiotic cultures encapsulated in the New Chapter promise, Probiotic Colon helps optimize absorption, enhances immune function, stimulates digestion, and promotes healthy bowel function. Probiotic Colon comprises live probiotic strains such as Lactobacillus acidophilus, Lactobacillus casei, and Bifidobacterium longum with organic okra, spinach, and ginger to help stimulate digestion and boost immune defense. These synergistic ingredients have been freeze dried according to New Chapter’s high standards, allowing the potency and integrity of Probiotic Colon to be preserved until consumption. Suggested Use: As a dietary supplement, take two capsules daily, preferably one in the morning and one in the evening, on an empty stomach. For optimal effectiveness, this product should be refrigerated and used before the date on bottle. Capsule: Gelatin (tilapia and catfish). Contains: Fermented soy and fish. Naturally gluten free. Question: I become horribly ill from laxatives and even peppers with natural laxative action. Should I be concerned about the Chlorella regularis listed in this product? A: Chlorella regularis, a single-celled fresh water plant, is a storehouse of enzymes, vitamins, minerals, and phytonutrients. 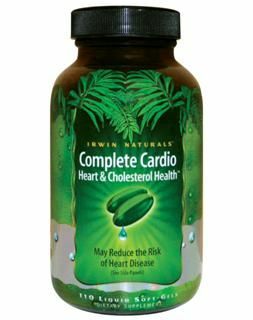 It contains more purifying chlorophyll than any known plant, as well as highly beneficial RNA/DNA. Additionally, Chlorella regularis is a rich source of carotenes, iron, and B-12, nutrients particularly important to vegetarians. If you have any concerns in how the Chlorella Regularis will effect you please consult with your physician as they can advise best.